I’ve been wanting another tattoo for so long, but I didn’t want to get just any random art work, especially since it is going to be a part of me for the rest of my life. 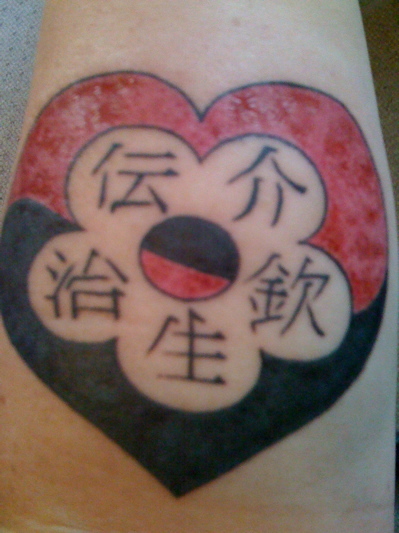 I feel strongly that, for me, a tattoo needs to represent something – it must have significant meaning to me; and because of that I wanted it where I could see it everyday as a reminder, so I chose the inside of my left forearm. Experiences including: learning to find balance in my life; growing; realizing that if one has love for oneself and communicates with care for the self they can gain not only self-respect, but respect for life and through that process, they can heal and grow and realize their full potential and love more fully and balanced. and a memoriam to Matt and Casey.